-Installation of telecommunications infrastructure or adapting of existing ones. -Installing common or private systems of renewable energy. -Works or service establishment in order to abolish architectural barriers where the amount exceeds twelve months of community fees and, in any case, the establishment of the lift. Once the agreement is made, all owners will be obliged to pay the related expenses even if these exceed the amount of the twelve monthly installments. -Establishment or abolition of concierge services, concierge, security and other common services of general interest. The lease of common elements that are not assigned to a specific use in the building. -The establishment or removal of equipments and systems that are designed to improve energy or water efficiency of the property (other than collective systems for the use of solar energy or other collective energy supplies). -The material division, aggregation, new plant construction, substantial alterations (enclosure and surround). For those agreements which are not expressly regulated in art. 17 involving the adoption or amendment of the rules contained in Title or statutes. For the rest of the agreements. Except in those cases where you cannot pass on the cost of a service to those owners who did not vote in favor of the agreement at the meeting or in cases in which the modification or utilization is of individual use, general rule is that the owners not attending the meeting who do not express their disagreement to the resolution adopted within 30 days of notification of the agreement, will have their vote counted as in favor of the adopted resolution. A great new for the post number 1000 of our blog. A new commission with members of Spain General Attorney office and the Spain General Council of Judicial power will be reinforcing inspections on Courts, having control meetings every four months. The beautiful beach of Playa de Valdevaqueros near Tarifa is to be saved from over-development by new planning laws expected any day from the Regional Government in Seville. 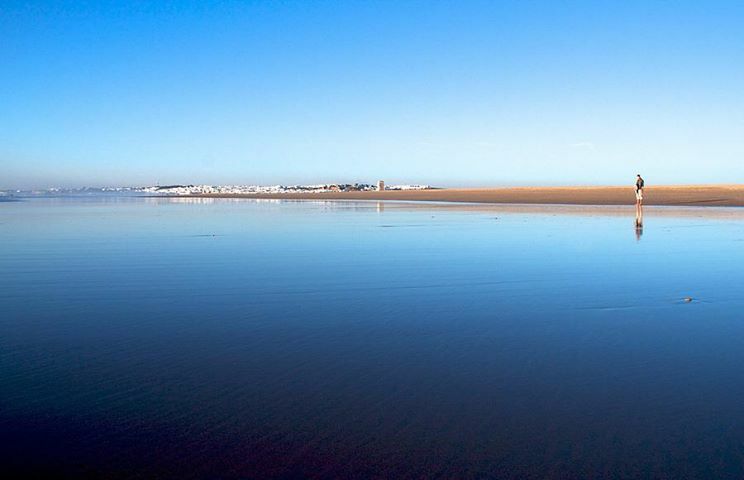 When the town hall of Tarifa announced plans a year ago to develop the area around the unspoilt beach of Valdevaqueros with a hotel and new homes there was an outcry, especially in social media. In response the newly appointed regional Minister of Agriculture, Fisheries and the Environment, Luis Planas, said he would revise planning laws on the coast to prevent cases like this. The Valdevaqueros development plan proposed by Tarifa’s town hall has cross-party support, so almost all the local politicians supported it. The outcry came from disgusted citizens, not the political class. The new plan for the Andalucian coast line will be ready on the 29th of this month, according to the press. The amended plan will reduce the number of new homes that can be built within 500 metres of the beach by 25pc, from 187,000 to 143,000, according to reports. Valdevaqueros beach will be given maximum protection or ‘Protection 1′ under the new planning laws, and 55% of the total area of the Andalucian coast will be protected, 86% if one excludes the areas that are already considered urban zones. The potential developments that have been affected are the ones that had planning permissions reliant on the Plan General de Ordenación Urbana (General Guide for Urban Planning) drawn up in the 1990s. As well as construction, all activities that may cause erosion or that may alter the countryside’s appearance or ecosystem will be prohibited in Protection 1 areas. The new laws will delight environmental activists who have looked on in disbelief as Spain has rapidly urbanized its coastline. Press reports say environmentalists hope that Andalucia has set a precedent for other Spanish regions to follow in protecting their coastlines. As a fan of Tarifa for many years, I’ve been keeping an eye on their town plan proposals, and it has always amazed me how little the local politicians understand what attracts visitors to their town. Tarifa is special because it has developed an intoxicating identity blending elements like the hippy trail, surfer-dude and chill-out. People do not go to Tarifa for golf courses and high-rise buildings, which is exactly what local politicians want to introduce. 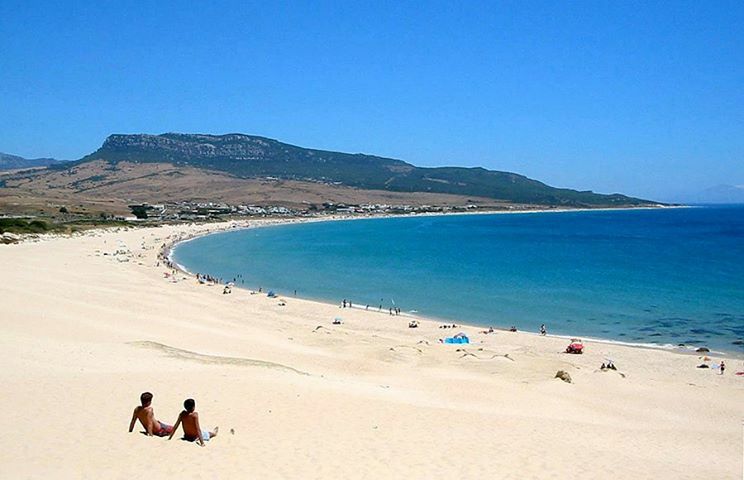 If they get their way Tarifa will become just another stretch of over-developed Spanish coast, with more wind. Tarifa needs to be developed, of course, but in its own special way. To get a better idea of what attracts people to Tarifa, read this article about property in Tarifa. The change to planning laws on the Andalucian coast is welcome news, but I wouldn’t be surprised if the changes contravene the new Coastal law, and lead to administrative confusion – a Spanish speciality. Article 2: The LPH ( Ley de Propiedad Horizontal) shall also apply to sub-communities and urban conservation entities where so provided in its Estatues. Article 3: Improvements or damages of every unit will not alter the community quota/fee, which can only be varied in accordance with the provisions of Articles 10 and 17 of this Act. Each owner can freely transfer his rights with no division of comprising elements and without affecting obligations attached to this particular property regime. Article 9.1.c: Every property has an easement to allow access to his property not only for the creation of common services of general interest but also for the execution of works and activities according to this Act. Article 9.1.e: Purchaser of a home or building in horizontal property regime, even with title registered in the Land Registry, is liable before Community of owners, as the bought property is attached to that liability, for community quotas of the year of acquisition and those of the three previous years. Article 9.1.f: The reserve fund may be used not only to maintenance and repair works but now also to rehabilitation. -Maintenance, conservation and those necessary to meet basic safety, habitability, accessibility requirements as well as conditions of ornament. -Works related to general conservation obligation when they are being imposed by the Administration. -Necessary works to ensure reasonable accessibility and, in any case, those works required by owners or users with disabilities or owners who are older than seventy years, in order to assure the proper use of the common elements and the installation of ramps, elevators or mechanical and electronic devices that favor the communication with the outside provided that the cost does not exceed twelve months of community fees. As a novelty, these works can be requested either by homeowners or local owners. There is no further reference to economic family unit. -No prior agreement of community of owners is also necessary for material division acts, acts of aggregation, construction of new plants and otherwise altering the structure or fabric of the building or common things as well as the establishment of a real estate complex if they are made as a result of the Property being included in the scope of a urban rehabilitation, regeneration or renewal project. -Creation or modification of the building complex of art. 17.6 of Land Act. -Material division, aggregation, new plant construction, substantial alterations (enclosure and surround) if there is an agreement of the 3/5 of all owners and share holders. Both setting new quotas and the nature of the works in case of discrepancy require agreement of 3/5 of all owners and share holders. This new figure allows the individual entrepreneur prevent, under certain conditions, liability for business or professional debts to affect his family home. 4. It needs to be registered in the Land Registry. All this can be processed through electronic means in less than 12 business hours. 2) Non professional or business obligations. 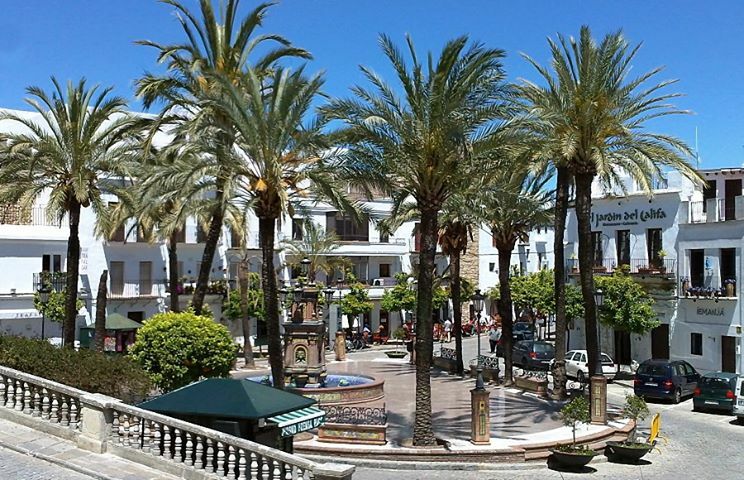 Great FB site of Costa de la Luz for your fun and delight! New amendments adopted last Thursday, the 25th of July, on Entrepreneurs Act. A very important one: expansion of Social Secirity ‘flat rate’ (50€) for all new entrepreneurs irrespectively of age. New Social Security fees reduction for self-employed disabled people and higher deductions when hiring them. 10% Company tax reductions if benefits are reinvested on the company also for companies with business volume over 10 million Euros. Cooperatives and Work Societies are included as Special in the Company Tax regime andTechnology Innovation is supported with I+D (Investment and development) benefits. Individual people lending money to new created companies will enjoy a 20% reduction on IRPF (Annual Income taxes) with a minimum of 50.000€ so private capitals are directed to new companies. New measures have also been taken on Sport Clubs and Entities. Good to see you have had success with Finca Parcs. I think you will be busy with cases like this for several more years yet! Yes, we are receiving massive number of clients requesting our assistance for similar cases. Keith Rule is now a member of the team and that is being a tremendous help. He is so efficient and knows the matter so well. You know what? I know that we will be involved for years in this type of cases but…. I would cetainly like not to be. Why? Because my real desire from the beginning has been to have people coming and settling in Spain. For the good of the economy. We need many foreign investors and foreign buyers returning. That´s why I have Keith Rule now in charge of all the Actions against Bank cases as I will be developing a new venture for attracting foreign people and money. I will tell you more on this soon! The moral dimension of the financial crisis has led to renewed interest in the ethics of executives, governments and regulatory bodies. Of all the virtues expected of an executive or government official, humility is especially important, and yet it has been largely overlooked in the realm of economics. This is probably due to an incomplete or misguided notion of what it means to be humble, why it's important, and how being modest contributes to the success and reputation of the organization as well as the leader. IESE Prof. Antonio Argandoña aims to set the record straight, offering ideas for reflection on this essential virtue. People often think that humility is incompatible with showing the authority necessary for being a leader. That couldn't be farther from the truth: A leader who is truly humble, and is perceived as being so by others, will ultimately have far more authority than an arrogant leader. Self-knowledge is the first and foremost expression of humility. People who are humble neither overestimate their virtues nor disparage themselves. Having high self-esteem does not make them pretentious. They constantly evaluate themselves and realize they are not infallible. This self-awareness includes recognizing what they owe to others: Humble individuals do not take credit for all of their strengths and achievements; instead, they value and appreciate the help they receive from others. Another quality associated with humility is a sense of transcendence, the tendency to act according to an ambitious ideal. That is why being humble also entails being demanding of oneself. Humility often goes hand in hand with other virtues, such as objectivity, simplicity, the desire to learn and patience with others. Humble leaders won't boast about their strengths, but they won't deny or conceal them either. Nor will they hide their shortcomings, deficiencies and mistakes. As such, they do not seek praise from others or feel hurt by criticism. They are grateful to discover how others perceive them, since it can raise their self-awareness. When it comes to evaluating others, humble individuals are aware that everyone else is probably better than they are in some way, so they tend to judge others less strictly than they would judge themselves. Humble leaders also tend to avoid comparing their qualities, merits, knowledge and achievements with those of others. If forced to do so, they try not to rate themselves as superior. They pass judgment if necessary, but look for the silver lining whenever possible. This openness gives way to additional virtues associated with humility, such as generosity, respect and a spirit of service. In particular, they will acknowledge the merits of their peers. They will request, accept and acknowledge their ideas, suggestions and tips. They will never be envious of the successes and qualities of others. Why should a humble leader be put at the helm of an organization? They tend to make fewer mistakes. Their natural inclination for introspection and their willingness to accept outside criticism generally give them a good idea of what their limitations and capabilities are. Their interpersonal relationships tend to be more genuine and simple, since they do not crave flattery. They tend to be sincere in both their criticism and praise, highlighting the positive aspects of the other person's behavior, without skipping over the negative ones, which can help them improve. They tend to seek collaboration, to offset their shortcomings and capitalize on the standout qualities of fellow team members. They will likely pay more attention to the common good of the organization than to their own self-interests. 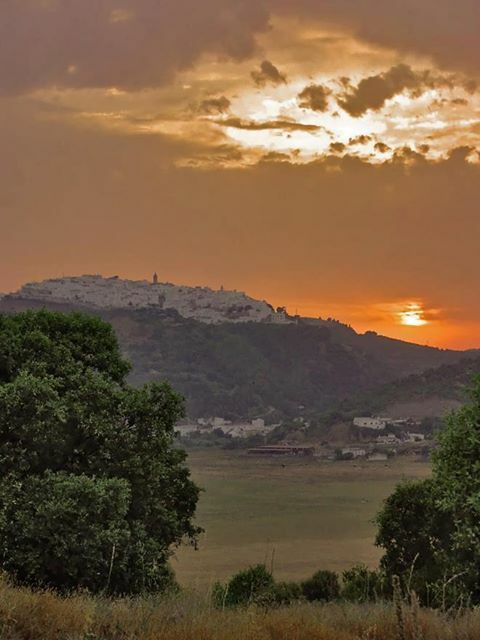 Along the following years Keith started the Finca Parcs website as well as the Bank Guarantees in Spain petition. We started to study cases and Law doctrine on a continued basis and write articles and posts on this. Continued daily efforts since September 2008 when he first contacted us, mainly promoted by him and his wish to make justice for him and other victims of same problem. From 2008 to 2013, Case Law backing his perspective started to proliferate, possibly in part due to Keith constant fight and exposure of the problem before authorities and victims and our legal writtings in English and Spanish. Many lawyers started to see and understand the angle which has been unused in the past. Of course Keith Rule did not discover Law 57/68 but he certainly promoted a new way to use it and the application of provision 1.2 which had been non existent to the date. Both Hellin and Albacete used these new arguments to give victory to our clients. Keith insisted on liabilities when no Bank Guarantees were issued as the frank boy in the Emperor´s new cloth. Law was there but no one has applied it before as he suggested us to do. Keith has received congrats from many lawyers in Spain as well as that of his Government and Ambassador in Spain, just one lawyer is still questionnig the sincerity and the value of his actions: that´s just life. Keith has now joined our team and we are full steam to work for other people in similar situations. He tells that persistence and sense of justice are not easy tasks but they bring you to success, joy and plenitude at the end. More than a matter of recovering money ( which is also important for many families), it has been a matter of challenging the system. Enhancing people´s protection before Banks. He also tells on how collaboration work makes the difference. His work has been enormous and essential for the work of lawyers and barristers in charge. This has achieved a full change of the way Banks will behave in the future in Spain when dealing with Off plan deposits. It is so good my country legislation has been able to give the right floor to him! And so good there are wonderful, people-oriented judges in Spain. Congratulations to Spain and Spanish Law too. The 47 buyers involved in the landmark trial at a court in Albacete province nearMurcia, south east Spain, have just received all the money back they put down. Jamie de Castro, of Javier de Castro lawyers, added: 'It’s amazing that a non-Spaniard who didn’t even speak Spanish and was using Google translator helped get us this far. Spanish judges are at last beginning to do something to improve the country's poor reputation inEurope. In March, the Supreme Court demanded that foreigners buying here be given special protection. Rule says that he is happy, not just for himself: "Spain has shown that it is a serious country, and that if you insist, the justice system works." Victory of our client Keith Rule at the Finca Parcs case. Today´s article today at THE TIMES. Sending you an email from this hotel in Zahara de los Atunes: http://www.el-varadero.com/, where I come to do some easy work every other day! You need to come to Costa de la Luz. It is a very unexploited area, best of Europe.